We support research that will provide reliable, useful information that is aligned with the mission of CEC and that we determine will help the teaching profession and/or the field of special education move forward. Your research must be vetted by an IRB and we require documentation of approval. We review requests for posting research opportunities on a monthly basis. We reserve the right to determine that research does not align with our mission, vision or goals. If we determine your research is aligned with our requirements, you will see it posted on our website; in most cases, due to the volume of requests we receive, we will not be able to respond to individual inquiries. 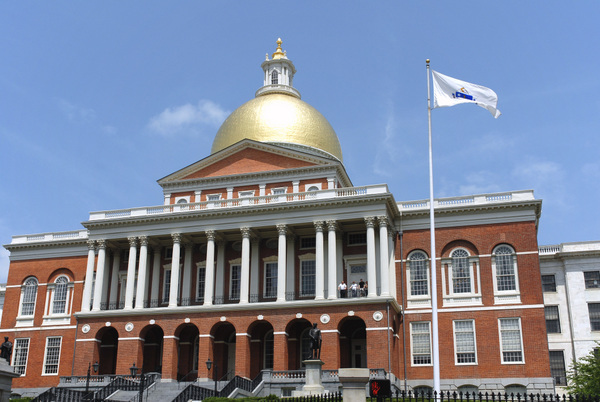 The Massachusetts State Senate passed a supplemental spending bill, with an increase of $12.5 million increase to school districts to aide in providing education to students with disabilities. The bill also provides assistance to programs aimed at providing supports to homeless families. Families for Excellent Schools-Advocacy has been fined $425,000 for raising $15 million dollars from individuals and donating it to Great Schools MA in a manner that disguised donors during last year’s Question 2 ballot initiative. The ballot initiative, which sought to raise the cap on the number of charter schools within the state, failed. The Education Department recently released its report on civil rights data across the country. The report indicated that students with disabilities continue to be disproportionately suspended, expelled, or arrested at higher rats when compared to their peers. Further, students with disabilities accounted for 71% of all restraints in school settings, and 66% of those who were secluded at school. The report also asserts that students of color continue face inequality; many lack access to advanced STEM courses, attend schools with strong police presence, and are more likely to become involved with the juvenile justice system. President Trump's proposed budget for fiscal year 2018 that aimed at cutting funding to many essential programs, while creating two new school-choice programs was overturn in Congress earlier in March. The president signed into law a budget that included a $2.6 billion increase in the education department's budget. Funding for Title I, special education, career and technical programs, and educator development all increased under the new budget. Last year, a case sought the Supreme Court’s guidance on what level of educational benefit school districts are required to provide students with disabilities with. Advocates argued that setting higher standards for educational benefit for students with disabilities would lead to greater levels of academic progress. Opponents cited fears of budgetary strains and litigation. U.S. Supreme Court ruled that schools must offer students with disabilities an education reasonably calculated to enable them to "make progress appropriate in light of the child's circumstances"
Endrew F. had been enrolled in a CT public school. By the 4th grade he struggled to make progress in the general curriculum. His family became concerned when IEP goals were mostly unchanging year to year, and enrolled him in a private school where his family reported him as thriving. When the family requested reimbursement from the school district (Douglas County) they were denied. The family sued the district, citing that their son had been denied FAPE. The federal court ruled in favor of the district, claiming that under IDEA, districts are only required to provide educational benefit that is merely de minis (non-trivial). The case is now being heard by the U.S Supreme Court. This information is provided as a service for the members of the Massachusetts Council for Exceptional Children (MCEC). In no event shall the Massachusetts Council for Exceptional Children, or its parent organization, the Council for Exceptional Children (CEC), be liable for any special, incidental, indirect or consequential damages of any kind arising out of or in connection with the use of the articles or other material derived from the website, member resources, professional development, or policy updates, whether or not advised of the possibility of damage, and on any theory of liability. MCEC disclaims all warranties with regard to information posted on this site, whether posted by MCEC or any third party; this disclaimer includes all implied warranties of merchantability and fitness.